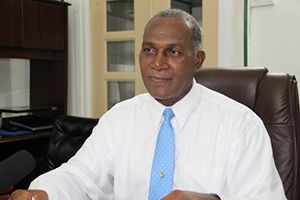 NIA CHARLESTOWN NEVIS (October 14, 2014) — The following is an address by Premier’s Address and Minister responsible for Disaster Management Hon. Vance Amory on October 12, 2014, on the occasion of International Day of Disaster Reduction celebrated on October 13, 2014. Nevisians, residence and visitors, this year the International Day for Disaster Reduction will be observed on Monday, 13 October, 2014, with the theme “Resilience is for life.” It is a day to celebrate how people and communities, including seniors, are reducing their risk to disasters and raising awareness about the importance of Disaster Risk Reduction. The International Day for Disaster Reduction, encourages every citizen and government to take part in building more disaster resilient communities and nations and building a culture of safety and resilience to disasters. Populations are ageing most rapidly in developing countries with up to 80 percent of the world’s older people expected to be living in developing countries by 2050. These countries are also some of the most exposed to disasters which is also likely to increase with climate change and changes in human and natural environments over the coming century. This year, the focus of the International Day for Disaster Reduction is on older people, including their needs and what they contribute to better planning and understanding of disaster risk in their communities. International Day for Disaster Reduction, 2014, intends to switch on and amplify this critical issue now and for the post -2015 framework for disaster risk reduction. This year’s celebration will recognise the critical role the elderly can play in resilience-building through their experience and knowledge. The elderly, including seniors defined as over 62 years of age, are particularly vulnerable to emergencies, disasters and hazards including hurricanes, earthquakes, tsunamis, floods, landslides, volcanic eruptions and fires. Some have difficulty in adapting to challenges as a result of loss of function, be it motor skills, eyesight, hearing, speech and mental capacity. The Caribbean has one of the fastest ageing populations in the developing world. Therefore, a participatory approach must be used to address problems related to disaster management with the development of age specific policies and programmes. The severity of the impact of emergencies and disasters on older people, depends on the specific characteristics of the elderly and the type and severity of the hazard. They sometimes require special diets and medicines which are not always available during and immediately after a disaster. Illness and disabilities of the elderly can also worsen after a disaster. Not all of the elderly in Nevis live in safe housing and their houses tend to be older and less well maintained, especially if they are unable to effect repairs. This makes them more vulnerable to hazards. There is a need for family members to ensure that the home of seniors and the elderly are regularly maintained, to be able to withstand expected hazards or alternately, arrangements must be made for them to be relocated in the event of an impending disaster. As we celebrate this International Day for Disaster Reduction, let us take every precaution to protect ourselves and our property. Let us demonstrate our resilience as we care for our elderly and assist them to protect themselves and survive whatever disaster they may encounter.